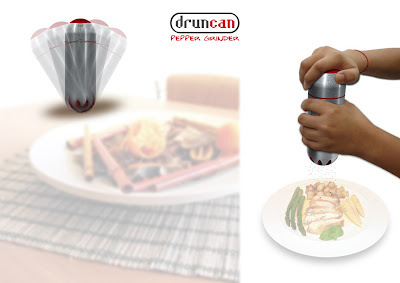 Druncan is a self standing pepper grinder. The top half of the capsule houses a salt dispenser. 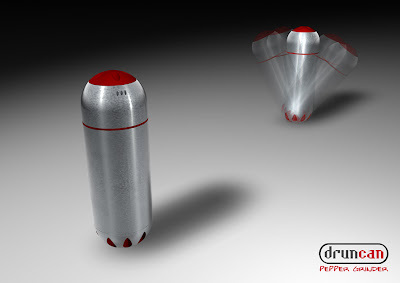 The base of the capsule is solid metal which helps it to spring back to a vertical position. 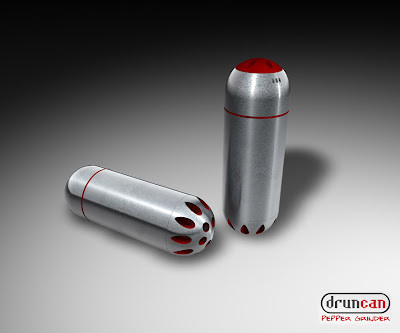 Druncan brings would bring back the play factor at the dining table . The real metal look gives a clean and premium feel to the product.